This is the first of a series of articles planned on looking at buyer trends that will influence marketing and sales in the near and foreseeable future. This article looks at how buyers are seeking experiences and the new role of the C-Suite as experience creators. During the past two years, we’ve seen a significant rise in focus on content and how content is the new marketing. While some may debate that content marketing is messaging in new clothing, it is now a competency that marketing executives need to assure getting right. We’ve learned in the past few years about the value as well as the role content can play in the early stages of buying processes. In light of the heightened and almost frenzied attention paid to content marketing, there has been much written - and I’m sure internal meetings held in corporations all over the world - on the “how-to” of content creation. This has led to a crying game in the corporate halls bewailing the need for publishers and journalists to come in and help. Content creation has become a driving force in marketing and sales organizations. So much so, buyers today are faced with the unintended consequences of information overload and content fatigue. They are often faced with the daunted task of sorting through myriads of information that will allow them to learn and hopefully help them to make an informed purchase decision. In essence, a buyer trend is evolving whereby managing and filtering information is becoming overwhelming. Experience, as a unique form of competitive advantage, has suffered through its own identity crisis during the past decade. Customer experience has had the unintended consequences of being identified as predominantly beefing up customer service capabilities. At the same time, we have seen companies who have done admirable innovation of truly unique experiences that cut across an entire organization’s functions. What we are seeing today however is resurgence in the original intentions of The Experience Economy as put forth by B. Joseph Pine II and James Gilmore. That is, people - be they consumers or B2B buyers - want to be part of an experience in its totality. They want to enter stage left or stage right into a theatre of experience and onto the business stage being offered. I chose to use the word creation intentionally to label from content creation to experience creation. Both require that mixing of skill, talent, knowledge, and intuition to put forth something new and creative. What C-Suite leaders can do is begin to shift the focus from purely on content creation and lead the organization to see the context of the end game. The end game being creating experiences that provides a stage in which buyers can play a leading role. This requires new thinking. What may sound like a semantics difference is truly a corporate mind shift that must occur. While on one hand it is important to provide excellent customer experiences, on the other hand it is entirely a different matter for an organization to see themselves as experience creators. Instilling such a mind set into corporate culture is no easy shift. Companies seeing themselves as experience creators’ means looking at content creation in terms of how it fits as an essential piece of creating an experience buyers want to be a part of. It requires the C-Suite to discover new talent that can in effect create a theatre of experience. Using the metaphor offered by Pine and Gilmore, leaders today will need to find producers of experience and find directors who are skilled at interweaving content, conversations, interactions, and roles into the production of buyer experience. Content creation can be likened to, in this metaphor, as scriptwriting. Writing content that makes the experience vision and the artful direction required come alive for buyers. The focus becoming one of creating content that fits into the overall vision of the experience and discovering, just as scriptwriters write in pauses and silence, that less can be more. As we look to the future, the C-suite will in effect become the producers and directors of the experience theatre a company builds. Allowing buyers to participate in as well as experience a story on a business stage that unfolds and marvels them each and every time. One of my favorite theater productions has been A Chorus Line. No matter how many times I see it, I still get emotionally wrapped up in the story, the script, the music, the choreography, and the experience of the production. Organizations today must create their own version of the longest running Broadway show that buyers want to return to and revel in the experience more than once. While the corporate hallways may be filled with talk bemoaning the need for the talents of journalists or publishers, the C-Suite who sees themselves as experience creators will have a keen eye towards finding the brilliant producing, directing, and scriptwriting talent that can build a theatre of experience. Creating a theatre of experience that builds the anticipation, engages buyers in the story, and has them talking afterwards – each and every time. The notion that perceived risks influences purchasing behavior has been around for quite some time. As we have seen an increase in the complexity of the buying process, we are seeing a correlating increase in Buyer Perceived Risks (BPR)© associated with purchase decisions. Compounding perceived risks is the increase in choices as mentioned in my previous article as well as new social channels to explore. This new mishmash of complexity, choices, and new channels causes a much higher degree of uncertainty on the part of buyers. These two general areas of perceived risks are not necessarily new however the degree of impact has expanded significantly as a result of the convergence of the Internet and Social Technologies. The impact of a bad choice is happening much faster, more people as well as organizations are aware when they happen, there are fewer chances to recover, and more damage to individual as well as company reputation. The end result being that buyers are perceiving risks to be greater than ever and making the right choice more challenging than ever. Previously, I had written about Buyer Perceived Values (BPV)© and the need to understand how buyers prioritize values. The other side of the coin is to understand Buyer Perceived Risks (BPR)© and to understand how buyers see the degrees of consequences that can result from a bad choice. This calls for senior executives and strategists to increase their understanding through what I call Buyerology© - which represents a deeper qualitative level of buyer intelligence. Gaining deep understanding of complex perceived values and risks provides a window into the mind of the buyer as well as the business culture of an organization. What research with C-Suite executives has borne out is that this understanding arrives too late when it comes to new services, products, and strategies. Oftentimes, learning the hard way why a new product launch, a new service capability, or a much hyped strategy implemented fell flat on its’ face – and both seller and buyer reputation bruised and battered. To prevent their own consequences, selling organizations will need to improve their early-stage buyer intelligence capabilities and make the investment upfront as opposed to investing in post-failure debriefings. Pre-Sales Content: Providing knowledge and information that instills confidence in choice and reducing perceived risks. Sales Interaction: Enabling sales to engage in conversations and interactions that authentically confront perceived risks and brings them to the forefront of the sales process as opposed to last minute barriers. Post-Sale Implementation: Content, implementation services, and interaction can all be used to enhance a buyer’s perception that adverse risk has been avoided and value gained. There is a given in all this. The given is that a selling organization truly has the quality and the confidence that it can deliver for the buyer and that it has assurances in place that they can reduce Buyer Perceived Risks (BPR)© significantly. No amount of content, smooth talking, and excuses will make up for poor quality and capability of a product or service. Understanding perceived risks today through deeper qualitative buyer intelligence (Buyerology©) can go a long way towards organizations standing out from the pack of options that can exists. Insightful understanding leading to helping buyers to make choices that are made with more ease, confidence, authenticity, and affirmation that ultimately results in hard sought loyalty. When formulating marketing, sales, demand generation, and content strategies, an important factor is that of understanding the choices buyers make. Oftentimes, strategies are crafted with a singular focus on the purchase decision. However, increasingly evident today is that buyers make purchase decisions that are a summation of several choices. In today’s social world, buyers are confronted with making choices in more areas than ever that directly influence the ultimate purchase or renewal decision. Helping buyers to make choices in pre-purchase as well as post-purchase situations paves the way for influencing the purchase decision – hopefully in your favor. At this moment in time, we are in an unusual paradoxical irony when it comes to choices and decisions. While the increase in Internet and social technologies have made it easier for buyers to control their fate, the many choices available to them has made the buying process more complex for both sellers and buyers. When there are more options and choices available, it can actually increase the complexity of decision-making. This unique combination of an increase in buyer options and choices along with an increase in the complexity of the buying process is directly impacting buyer behaviors today. One way of understanding changes in buyer behaviors is to understand buyer choices. I want to refrain from using the word content in this context. The word “content” is super hyped today and has taken on multiple meanings. If we look at the root of what buyers are seeking, it gets us to information. Buyers are making many choices on where to go for information, how to retrieve information, and identifying what information is relevant. We are still very much in the infancy of understanding the buyer behaviors associated with information gathering and the impact of new Internet and social technologies. What has transpired over the past few years is a wholesale change in the collective set of experiences buyers have available to them. Preferences are beginning to settle into the minds of buyers and choices being made on the type of experiences they desire. I have written much about buyer experience over the past year; especially as an area of innovation for companies. Understanding how buyers are now choosing experiences they desire and how they impact the purchase decision is critical to informing future strategies. As I have written previously about, understanding the concept of experiential buying is becoming more and more important. 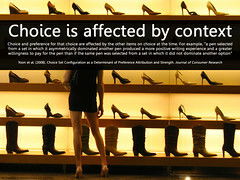 Buyers are confronted with choices on values they perceive as relevant. In today’s hyper-connected environment, these values are constantly shifting. Staying abreast of the choices buyers make on values they factor into decision-making can make a difference in discovering where your organization has the edge over competitors. Gaining an understanding of what influences choices about values as well as how these values influence the purchase decision allows for making the nimble and even subtle adjustments to strategies that connects with buyers on where they are at that moment. Having insight into choices and compromises on pre-purchase to post-purchase values can be a game changer. Buyers are confronted more so today than ever on making choices about the goals they pursue. This is happening on both an articulated and unarticulated level. What do I mean by this? The amount of variables as well as constraints introduced to buyers is directly affecting choices made about which goals to focus on accomplishing. The shifting in goal priorities can make it difficult for buyers to articulate exactly what they are characterizing as a goal. It is still relevant, in fact, more so today that we understand the obvious as well as the not-so-obvious choices buyers make about goals. Qualitative as well as contextual inquiry based methods common to ethnography and anthropology are best suited to get at the unarticulated goal choices of buyers. Buyerology© is a means for framing the need to understand buyer choices and changing buyer behaviors. Understandings that is crucial to informing future strategies and organizational decisions on how to be relevant to the new day and age of the buyer. What we do know today is that it is not business as usual. If that is the case, then we best find out what exactly is considered business today by buyers. We are living in a world that is fraught with uncertainty. The degree of uncertainty for businesses today probably is at the highest level in decades. Resulting in a chaotic world for sellers and buyers looking to make sense of what the future may hold. This high degree of uncertainty and chaotic environment is showing up in many forms for both buyers and sellers. Whether it is sellers suffering from significant skill gaps as recently pointed out in surveys completed by DemandGen Report and Sirius Decisions or buyers in recent compiled reports indicating lack of knowledge and information that helps them to make purchasing decisions – uncertainty and chaos reigns at the moment. This perfect storm of uncertainty and chaos making the ability of marketer’s to communicate with buyers extremely challenging and causing sales organizations to struggle in being relevant to the buying process. So how does an organization get a hold of itself in such times? Organizations and buyers are highly adptable albeit some adapt quicker while others lag. Oftentimes, those who do lag are left off the train with some just barely grabbing a hold of the last caboose that is pulling way. When adaptation in industries and markets occur, patterns begin to emerge as we have seen during the past three years - such as in how buyers search for information. A key to being relevant to buyers is an organization’s willingness to invest in staying abreast of patterns and then adjusting. This is much easier said than done. Buyer behavior patterns can be tricky indeed for it can be like shifting sand on a beach that on the surface looks flat but the moment a disturbance occurs - a crater is revealed. Caught unaware of the underlying shifts in buyer as well as market behaviors, an organization can find itself falling into a crater that could be difficult to climb out of. Previously I have written about the use of multiple qualitative approaches that relates to Buyerology© and the understanding of buyer behaviors. Investing in a collective use of qualitative approaches, which I called Buyerography recently, helps organizations to get the deep insights needed to be relevant to buyers. They offer a window into identifying emerging patterns that provides nimbleness in terms of responding to the shifts in buying behaviors and processes. Buyer behavior research and analysis is becoming an important means for organizations to recognize emerging patterns on the part of buyers and buying organizations. Understanding buyer behavior is a qualitative social science in particular thus an overemphasis on quantitative analysis will make it difficult to reveal the underlying patterns that are emerging. Quantitative tells organizations plenty about what and who whereas qualitative efforts in buyer behavior research can reveal much about why and how - important to understanding the story behind buying decisions. Once patterns can be discovered, bringing order to chaos and uncertainty lays in understanding buyer priorities and goals. An essential point and the reason buyer behavior research is a primer for this understanding is that buyers themselves are dealing with a high degree of uncertainty and chaos. They are having their own degree of difficulty in clearly being able to express priorities and goals in precise ways. Given that premise, then organizations must develop a means for identifying patterns as well as being able to interpret patterns into an actionable understanding of buyer priorities and goals. The path to gaining a deep understanding of buyer priorities and goals is through buyer behavior research and analysis. The high degree of uncertainty and chaos in today’s marketplaces makes a presumed understanding one that can be filled with many craters. Craters that can be littered with failed product launches, content marketing efforts, demand generation initiatives, and a smoldering fire of bad reputation. Is it time for organizations to take a hard look at their efforts in understanding emerging buyer behavior patterns and how they reveal why and how buyers are making purchasing decisions today? I know my answer – what is yours? As a follow-up to the article Influence of Buyer Perceived Value (BPV) on Buyer Behaviors and Decisions, offered is a perspective on how to implement a scorecard approach. The Buyer Perceived Value (BPV) Scorecard combines both a qualitative as well as a quantitative approach to understanding the influence of buyer values. An important disclaimer here is that there have been many scorecard approaches for measuring customer value over the past two decades. My point is not to endorse any particular one but to endorse the notion that values are rapidly changing and that buyer perceived value is critical to understanding buyer behavior. The understanding of buyer behavior is the central focal point of Buyerology© and understanding Buyer Perceived Value (BPV) is one key aspect. Before jumping into a quantitative approach, it is important to emphasize the need for reaching an understanding of Buyer Perceived Value (BPV) qualitatively. Perceived values are changing rapidly and will continue to do so as new buyer behaviors are formed – changes driven by the introduction of new technologies and business models. 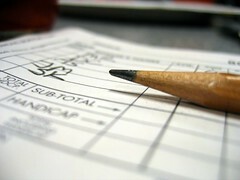 Multiple and varietal forms of qualitative methods help to provide a unique articulation of value criteria that buyers may formalize or internalize for decisions. Qualitative understanding is essential due to buyers, common to human behavior, having difficulty in offering a clean series of statements that accurately reflect their value sentiments. Multiple qualitative methods assist in identifying un-articulated patterns of thinking and behaviors that can be translated into value attributes unique to your industry, markets, and organization. Basing a scorecard approach on a generalized and presumed sense of buyer perceived value attributes mitigates the usefulness of a Buyer Perceived Value Scorecard severely for informing buyer strategies. Now let’s take the academic speak out of the above and simply say that if you base the scorecard on what you think buyer’s value versus actually going out to talk to buyers and using qualitative methods to uncover values – it will be of no particular use. As mentioned in the previous article on Buyer Perceived Value (BPV), value has been viewed conventionally around product and service. The convergence of the Internet and the Social Age is resulting in new as well as evolving values that we may not fully understand at the moment. Calling for qualitative means of discovering exactly what these values are and the meaning behind them. This is the primary reason why I advocate strongly the need for qualitative research to understand Buyer Perceived Value (BPV) meaningfully. Priority: Not all values are perceived equally. Determining through qualitative means how much weight buyers place on certain value attributes is essential. Ideal: After values are weighted, what do the values look like in a perfect world to buyers? The goal becoming how to score a perfect 10 on all value attributes. Perceived: Once value attributes have been identified and established, a combination of qualitative and survey methods can help in discovering how buyers perceive the organization abilities in measuring up to the ideal. Differential: Using the scorecard approach can help in identifying the largest differentials between what buyers consider of high value and where the organization is falling short in the minds of buyers. In the example below, you will see a red flag around implementation support suggesting improvement. You will also note that 24 hour turnaround is prioritized highly and this can include the use of social networks. The meaning behind each value attribute listed should be supported by qualitative interpretation. For example, what exactly do buyers’ value in implementation support? How much of a factor is social engagement behind 24 hour turnaround perception? By combining the use of multiple qualitative research methods and quantitative analysis, an organization can begin to get a realistic handle on how well they measure up to the perceived values buyers base decision-making criteria’s on. We are at a point in marketplace history where uncertainty reigns. The importance of refreshing, qualitatively, the understanding of exactly what buyers perceive as values and how much weight is put on each is critical to being on the buyer’s radar of choice. 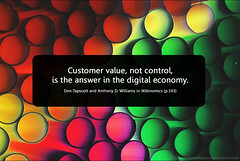 What we can count on is that new technologies, services, and business models will cause shifts in what buyer’s value. How do you plan to stay informed of these shifts in buyer perceived values? Buyer Perceived Value (BPV) Scorecard by Tony Zambito is licensed under a Creative Commons Attribution-NonCommercial-NoDerivs 3.0 Unported License. In my previous article, Enhance the Buyer Experience with Intelligent Engagement, I referenced a trend I called Experiential Buying. Buyer behaviors in B2B marketplaces are shifting tremendously towards more holistic experiential expectations that defy the conventional straight re-buy, modified re-buy, and new buy behaviors of the past. Buyer expectations have increased with regards to the experiences they undergo as well as desire. In this situation, a buyer may want to experience a re-buy that reaffirms his or her decision to continue a relationship. Even in modified re-buy situations, the buyer may be looking for an experience where they can perform the modifications themselves. The difference in the modern social age is that buyer expectations have changed. If companies have not adapted their businesses to enhanced online and social capabilities, they may very well be placing artificial barriers in front of their buyers who are seeking an entirely different straight re-buy or modified re-buy experience than in the past. As consumer-like experiences become more desired in business marketplaces, companies will need to rethink many aspects of their sales and service capabilities as well as interactions. This includes taking a hard look at barriers they may be putting up in front of their buyers unintentionally. In those situations where buyers are actively seeking assistance, the cumulative experiences of the assistance they receive are becoming important factors in their decisions. In situations of modified re-buy and new buy, organizations today must look not only towards Intelligent Engagement as mention in my previous article, but they must examine and establish a balance between assistance and empowerment. Plainly speaking, what companies have to be careful about is how long-ago established internal processes may not be fulfilling buyer expectations for an experience. It seems to me, as observed in recent qualitative research, that buyers wanting assistance also want to feel empowered to act on their own on different levels without the excessive "hand-holding" companies feel they've gain permission to exercise. What is becoming more apparent is that companies in the near future will need to build adaptive capabilities for enabling experiential buying. In such a way that it allows for buyers themselves to create their own adaptive differentiated experiences. Buyers enabled to create their experiences of finding the right knowledge at the right time at the right place at the right interaction level and at the right solution. Companies that can figure out how to get this experiential buying formula right – will have the competitive advantage going forward. One particular trend I have noticed this year, in participant observations with B2B buyers, is the movement towards what I would label Intelligent Engagement. I referenced this in my previous article whereby I questioned the phrase Reach and Engage in contrast to Listen and Engage. Simply stated, B2B buyers are learning at an increasing rate how to decipher meaningful, relevant, intelligent, and engaging content from the fire hose that is now marketed to them. What we are seeing is a shift in buyer behavior from that of trying to drink from the fire hose to that of selectively choosing Intelligent Engagement. 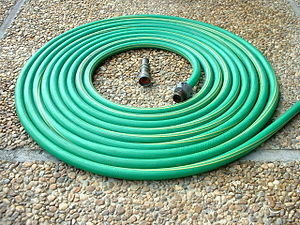 Closely correlated to social media fatigue, B2B buyers are looking for a garden hose and not a fire hose. The field of content strategy and content marketing is still relatively new. However, it faces significant challenges just as it begins to solidify into a publisher mode of practice. The challenge is that B2B buyer behavior may already be moving beyond the publishing context to a new expectation of Intelligent Engagement. This is presenting an enormous challenge for strategists and marketers to learn how to establish “built-in” engagement that is intelligent as opposed to being the mere presence of a document which can be printed. Also, this movement compels content strategists and marketers to think well beyond content alone. Moving beyond content alone is becoming the prerequisite to enhancing the buyer experience. Intelligent Engagement begins to define the buyer’s real-time and social experience with what a company has to offer. By the term “offer”, I do not mean just a service or product they are marketing and selling. The buyer experience has wrapped up in it all the components of what constitutes a rewarding, intelligent, social, and engaging experience. Also, content strategists and marketers will need to see how what they produce contributes to the totality of the buyer experience as well as how it rewards buyers with Intelligent Engagement. 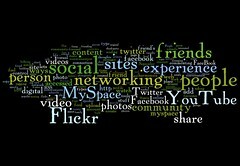 The social age is ushering a new era of what I would call Experiential Buying. Buyer behavior and expectations are changing indeed. No longer is it a straight buy or re-buy that a B2B buyer may be seeking. The demand for Intelligent Engagement and Experiential Buying, in my opinion, will become essential components of a post-social media frenzy that seems to be showing signs of fatigue. I recently touched upon this concept whereby social buyers were establishing their own Social Buyer Engagement Index that assessed a company's engagement capabiltities. How much built-in Intelligent Engagement do they have in their content strategy as well as overall touch strategies with buyers? Do their current content marketing, sales interactions, and service interactions contribute to enhancing the overall buyer experience? These are good starting point questions that may cause reflections on existing efforts. They offer a chance to take a deep breath amidst the social media and content marketing frenzy that has taken place in the last couple of years. I am willing to bet there will be a few pauses like: “did we really do that?" Is It Reach and Engage or Listen and Engage? I have been thinking about this question for some time. 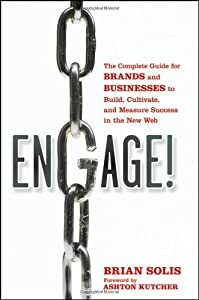 I have been thinking that there is something wrong with all the titles I see that begin with Reach and Engage for numerous articles and blog posts. To me at least, it seems that in the social age the terms Reach and Engage cancel each other out. 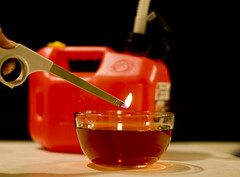 One can make an educated argument that reach belongs in the push column of marketing. Whereby engage can be placed in the pull column. Therein lays, perhaps, the problem with this expression of reach and engage. Organizations and marketers have been wired for decades in reach and push strategies. The structure of businesses has remained surprisingly constant despite significant transformative changes occurring during the past two decades. There is a built-in inertia and interwoven into corporate DNA is the push mentality. It has always been about pushing, reaching, and “going to” a segment or a market. In several recent articles, I have discussed this notion of buyer behaviors that reject reach and push and how organizations today must become listening organizations that foster engagement. Brian Solis published an article entitled The End of Social Media 1.0. While the focus is on social media and consumers, some points apply to buyer behavior and this question. Brian notes that organizations today must learn to listen with social media and consumers want to be heard. He further states that social media must become an extension of active listening and engagement. Currently social media is in the grips of marketing which has always been, along with sales, the beholders of reach and push. Brian makes a case for social media belonging to an active listening social enterprise. We are dealing with a century of organizations that are built on the silos that support the reach, push, and got-to pillars. Redesigning organizations to become a social enterprise is definitely going to be no small feat. A funny thing happened on the way to the social media forum. It is no longer about tweets, likes, and constancy of social media which is resulting in social media fatigue. We may be seeing the beginnings of the next evolution in the social age - the evolution becoming about buyer behavior orienting towards wanting to be heard and wanting intelligent engagement. If so, this has some serious ramifications for organizations and their relationships with buyers. It flips the enterprise upside down, flattens it, and forces the enterprise to listen. The competitive advantage may very well come from those organizations willing to stomach such a transformation earlier than most. Companies today will need to examine what is meant by reach and engage and whether it fits new buyer behaviors that want listen and engage. Do their efforts in content marketing and sales, for example, mirror conventional reach and push through the different channels of social networks? Are their efforts just about maintaining a presence? Is their presence merely an extension of reach and push – or – are they truly listening and engaging? It looks like organizations today are faced with some profound questions. To answer such questions, organizations and their leaders will need to undergo the deepest self-examination they’ve had to do in quite some time. What do you think? Engage.